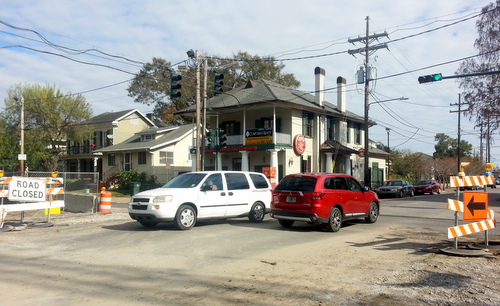 The busy Freret Street intersection with Jefferson Avenue has reopened to traffic as construction continues on the major underground drainage canal, officials said. The intersection closed in early September to allow workers on the SELA drainage canal project access under the Jefferson Avenue neutral ground, and officials predicted that it would blocked for about five months. On Friday morning (Dec. 16), with little fanfare, contractors removed the barricades and reopened Freret Street to traffic. The section of the Jefferson Avenue project from Dryades Street toward the river — including the Prytania Street leg — is 99-percent finished, according to the U.S. Army Corps of Engineers, but the completion date for the section from South Claiborne to Dryades is now May 2018. The $52 million contract awarded for the segment in 2013 called for it to be finished in fall 2017.